LONDON / DHAKA, Mar 15 2019 (IPS) - The stakes are high for women when faced with a warming world – their livelihoods jeopardised by labour markets that tend to put men first, their family responsibilities increasing rapidly in the face of droughts and flooding, and politicians who refuse to acknowledge the challenges they face. The story of those living on the frontline of a harsher climate is simply not being heard. 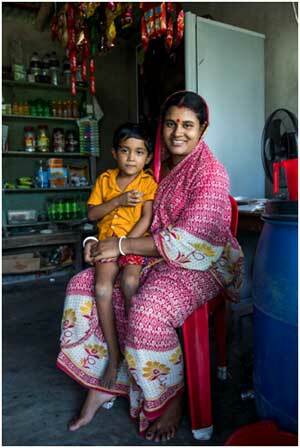 Women commonly face higher risks and greater burdens from the impacts of climate change. Combined with the fact that climate change has a greater impact on people who are heavily dependent on natural resources for their livelihoods, women also have the least capacity to respond to increasingly severe natural disasters such as droughts, landslides, floods and cyclones. Despite this, and often because of this, it is women who are the drivers of adaptation to climate change. By promoting their local knowledge of sustainable resource management, and leadership in sustainable practices at the household and community level, women are the innovators, entrepreneurs and pioneers when it comes to tackling climate change on a day-to-day basis. With this in mind, policies and projects should strive to not only involve women in decision-making and leadership processes for climate change mitigation, but put them in the driving seat to make the tough choices. In developing countries, there are many other examples of women’s inclusion at the local level, which have led to enhanced outcomes of climate-related projects and policies at a much wider often national level. For example, in Dacope – a community in a climate-vulnerable region of Bangladesh where water resources are so heavily saline as to be poisonous. Children and adults of the community were suffering from skin allergies, stomach problems and water-borne diseases due to the daily consumption of unsafe water from their only water source – ponds and canals. A group of women decided they could not stand by as their health and that of their families deteriorated due to lack of safe water. Things needed to change. 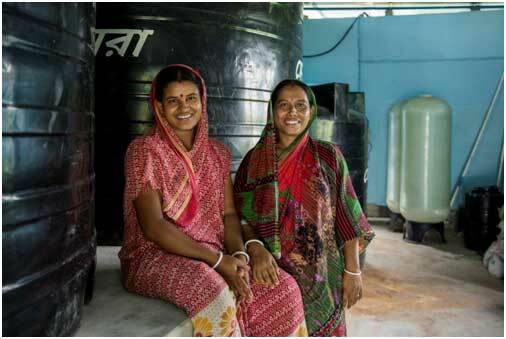 WaterAid and HSBC have been working partnership for four years in this region of Bangladesh helping to provide water, sanitation and hygiene services to many communities. Through the project, mother-of-two, Shila Bawali, 35, successfully enlisted another 44 women into a committee called “Khona Khatail Mahila Samity” to start a fund for the installation of a reverse osmosis plant to purify their water. This plant has started the water filtration process, which takes out the impurities out of the water and makes it safe for drinking. With this plant removing the salinity from ground water, it is now safe and pure to drink for the 1,300 people living in the village and also those from other communities at a very low-price. Shila plans to sell it to restaurants and cafes, so the water not only brings health benefits but improves her family’s economic outlook too. And, as a number of the women are now trained with the essential skills to be able to maintain the water plant, it is sustainable and resilient to future climate pressures. How does Shila feel about this success? She told WaterAid that she’s now incredibly optimistic about the future – she’s confident that life will be better, her children will be healthier, and she will be able to rely on her new source of clean water. 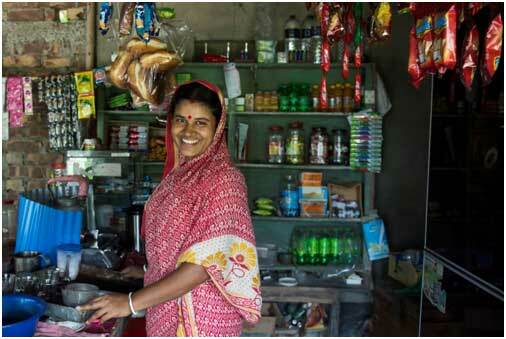 She is happy to serve the customers in her shop and is eager to see her own community blossoming with new hope. Let’s applaud women like Shila who take control of their rightful destiny, and take on new challenges and risks in their hectic lives. Through their incredible drive and ambition, they can bring about lasting change to secure the future of their family and community in the face of climate change. Jonathan Farr is WaterAid’s Senior Policy Analyst on water security & climate change, based in London & Samia Mallik is WaterAid Bangladesh’s Communications Officer, based in Dhaka.